Microsoft has announced that its cloud platform Azure will be gaining a host of new features, including a redesigned management portal. The new Azure Portal will phase in over the current iteration in time, and is, Microsoft hopes, going to make life easier for developers. The new Azure Manager is being released through a new SDK to allow cross-platform compatibility. Resource management has been simplified in the new updates, with originally standalone resources like Azure Web Sites, Visual Studio projects and databases being merged into one resource group. Developers can then choose from a selection for building apps, managing teams and tracking progress. After an app goes live, Azure keeps track of traffic and performance. According to Redmond, the firm had seen "phenomenal" up-take and usage of Visual Studio Online from customers. Microsoft is therefore is aiming to capitalize on that, by simplifying app creation processes down to, it claims, "just one click." 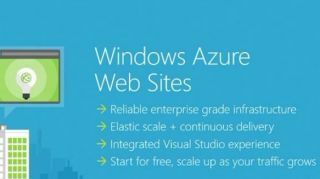 Visual Studio Online has also been released to general availability, along with Java Applications to Azure Web Sites. Chef and Puppet Labs have partnered up with Microsoft too, ready to run config management tech in Azure's VMs. "Developing for a mobile-first, cloud-first world is complicated, and Microsoft is working to simplify this world without sacrificing speed, choice, cost or quality," said Scott Guthrie, executive vice president at Microsoft. "Imagine a world where infrastructure and platform services blend together in one seamless experience, so developers and IT professionals no longer have to work in disparate environments in the cloud."